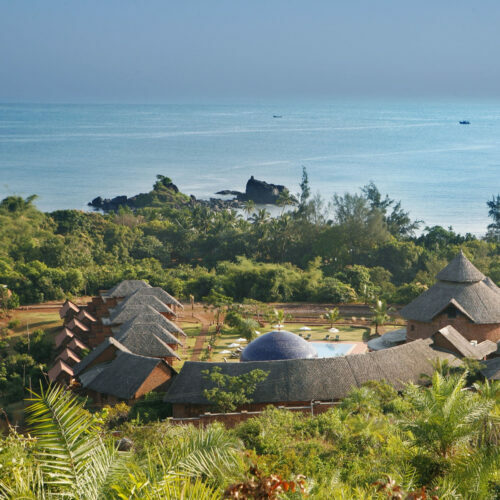 situated on the spiritual OM beach and cradled by cliffs across 26 acres, guests will find Swaswara a fitting place to relax and immerse one-self in nature. 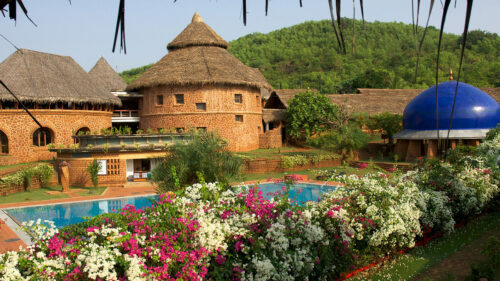 Far from the madding crowds of Goa this little known hippy haven in Karnataka offers rustic and spiritual & wellbeing experiences away from the more commercial beach resorts. This gentle yoga retreat encourages relaxation of the mind, body and soul, requiring a minimum 5 nights' stay. 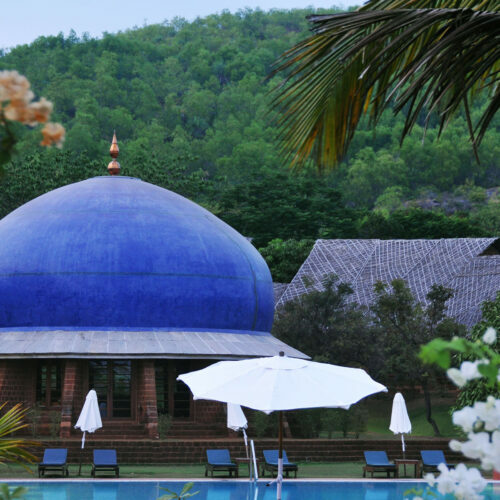 Practise Yoga on the beach, Sound Meditation in the Blue Dome or Yoga Nidra (Sleep Meditation) under a Banyan tree. A combination of Ayurveda therapies, healthy organic cuisine, music and art interactive sessions and gentle cliff walks provide a holistic approach to rejuvenation. 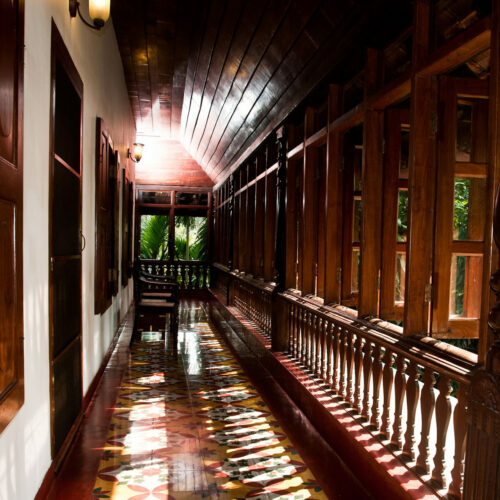 Established in 1957, CGH Earth is a family owned hotel group comprising 11 properties in South India. 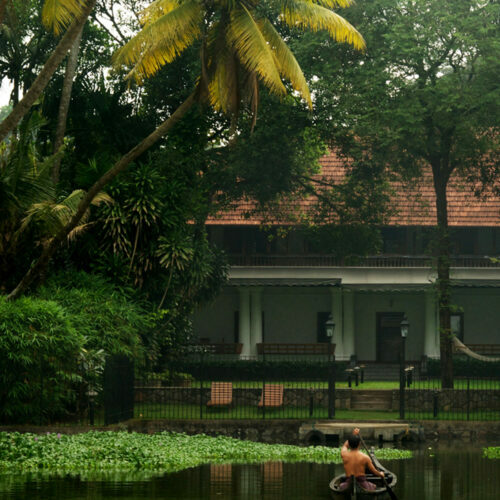 From historical properties to rustic retreats and backwater cruises, the CGH Earth portfolio gives guests a true sense of each destination, by preserving and reflecting the local culture through architecture and design, culinary offerings and the practice of pure Ayurveda therapies. The SwaSwara, Goa was featured in the article What to see in Karnataka and made it into our top 5 yoga locations in India.